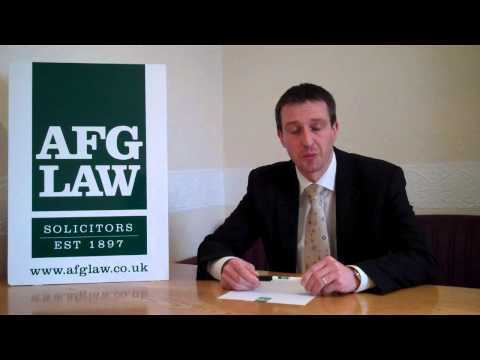 AFG LAW are solicitors who can advise on remortgaging a property. Once you have a remortgage offer ‘in principle’ you will need to then appoint a solicitor to deliver the remortgage conveyancing on your behalf. Mortgage lenders will insist that you instruct a solicitor. Conveyancing solicitors will make certain that the property has a sound legal title (i.e. that the deeds are in order), that you are fully advised about the new mortgage and that you have signed the mortgage documents properly. Lenders will require you to sign the mortgage paperwork in front of a solicitor to act as a witness. When the re-mortgage is completed, your solicitor must repay the old mortgage and register the new mortgage at the Land Registry. What are the most common reasons for remortgaging a property? Often a remortgage is necessary when a couple divorce or there is a partnership breakdown; the remortgage is done with the purpose of raising funds to buy out one of the owners of the property. If the names on the property deeds are to be changed at the same time as the remortgage then you will also require a ‘transfer of equity’. You may need to revise your will as well. If you want to repay the second secured loan out of the remortgage proceeds a solicitor will arrange this for you; if you aren’t repaying you’ll need to notify the new lender and get their permission for the second charge. You solicitor will also need to arrange a ‘deed of postponement’ to ensure that the second mortgage stays as a second mortgage. How long will a remortgaging take? This depends on what the new mortgage lender requires and how quickly they conduct the valuation and issue the remortgage offer. However, it typically takes somewhere between three and six weeks. Once you instruct your solicitor they will be able to obtain your deeds, confirm identification, satisfy money laundering requirements and obtain a repayment statement from your lender. After the mortgage offer is issued by the new lender they will send you the mortgage deeds to sign and return; when they have the signed mortgage documents your solicitor can arrange a completion date with the lender. The new lender usually requires a working week’s notice to send the mortgage funds; from when you get your written remortgage offer it’s typically possible to complete within two to three weeks assuming there are no complications. What happens after the completion of my mortgage? Your conveyancing solicitor will pay off your old mortgage, send you any left‑over funds and register the new mortgage at the Land Registry. Once this is complete they will send you a copy of your title deeds and archive their file of your remortgage. For specialist legal advice and guidance on conveyancing law to remortgage a property contact AFG LAW solicitors today on 01204 377637 or email us to speak to a lawyer about the legal process of remortgaging a home. 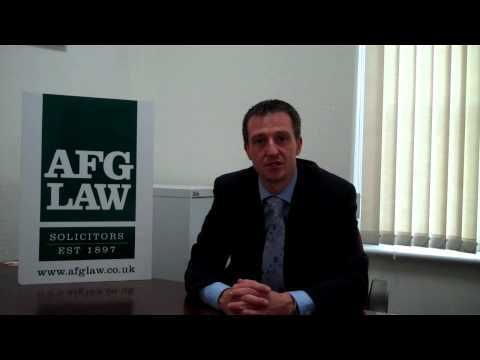 Greg French joined the property department at AFG LAW in 2002. He became a partner and head of the department in 2004. Greg’s areas of expertise include: wills, inheritance tax planning, residential and commercial conveyancing, commercial leases and probate work.